The name Claude Monet is synonymous with French Impressionism, yet, particularly in his later years, Monet's painting aqcuired a profoundly spiritual quality. 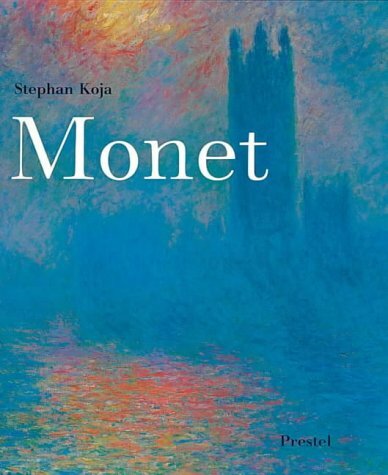 The basis of Monet's art is light in all its manifestations, as he captured fleeting impressions in a spontaneous style of open-air painting that was rigorously opposed to academic tradition. This monograph, initially published to accompany an exhibition in Vienna, includes paintings from the artist's entire career. These range from early works painted in the forest at Fontainebleau, through the landscapes of his mature period, to his almost abstract later work. Depictions of the Thames and of Rouen Cathedral are included, as well as examples of the poppy field, haystack, and waterlily series. Most of the paintings shown are from Paris collections, and these are supplemented by many rarely seen works from European, American and Japanese collections. The book contains an introductory essay and commentaries on all the plates, which are arranged in thematic groups. Illustrated biographical notes on the artist and extracts from his letters are also included.